Terry Brennan is the Litigation Coordinator for BakerHostetler's Cleveland office, with practice management responsibility for more than 40 litigation attorneys. 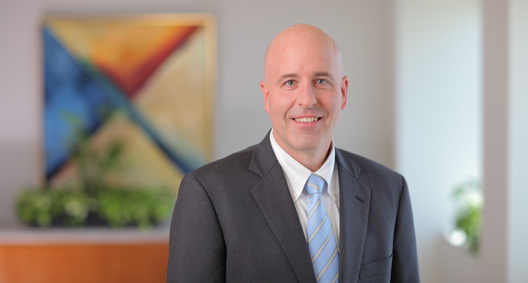 He focuses his practice on complex business litigation and corporate criminal matters, representing banks, manufacturers, and other public and private corporations and individuals in a wide range of complex commercial disputes. In his white collar practice, Terry represents individuals and businesses in connection with investigations and prosecutions conducted by the DOJ, SEC, FDA, and other federal and state law enforcement agencies and regulatory bodies. He conducts internal investigations on behalf of corporate clients, lectures annually on effective depositions and has served as a state-appointed special prosecutor. SIPC v. Bernard L. Madoff Investment Securities LLC: Leads a team of attorneys on behalf of the Securities Investor Protection Act (SIPA) Trustee in litigation of claims against former employees of Bernard L. Madoff Investment Securities LLC. Client v. City of Cleveland: Represented a publicly traded company in a lawsuit alleging breach of contract that resulted in a multimillion-dollar settlement for the client. Represents current and former supervisors of Volkswagen and Audi in connection with the Volkswagen emissions scandal. Represents multiple shipping companies in connection with federal investigations involving the Clean Water Act and the Taft-Hartley Act. Represented the co-CEOs of a private equity company in an SEC investigation alleging numerous securities law violations. Represented a multimillion-dollar investment fund in an SEC investigation of a Ponzi scheme. Represented a food manufacturer in an FDA investigation involving food contaminated by melamine. Represented a university in an FDA investigation of diversion of controlled substances. Plaintiffs v. Client: Successfully defended a telemarketing company in federal class action lawsuits alleging fraud and related cases of action. CITA v. Client: Successfully defended a publicly traded bank against a $400 million lawsuit alleging failure to recognize interest in securities. Winter Equipment Co. v. Client: Won jury trial on behalf of a manufacturer alleging misappropriation of trade secrets. Kopp v. Client: Represented a bank and defeated claims alleging violations of federal antitrust law, the federal Truth in Lending Act, the Ohio Retail Sales Installment Act, and breach of fiduciary duty. Client v. Hummer: Represented the nation's largest pharmacy in a lawsuit arising out of a merger agreement with claims and counterclaims totaling more than $100 million, resulting in a client victory. Jacobs v. Jacobs: Represented a real estate developer and former Cleveland Indians owner in litigation brought by trust beneficiaries seeking removal of the client as a trustee and millions of dollars in damages, resulting in a client victory. Represented a national architecture firm in a federal public corruption investigation. Represents publicly traded banks in FINRA matters and other internal investigations. Represented a publicly traded company in a DOJ customs investigation that was initiated by a search warrant. The client received a declination letter. Represented a construction company, shopping mall development company, insurance company, and other businesses and individuals in public corruption investigations. Represented a former CFO of a publicly traded company in an SEC civil case alleging fraudulent accounting. Represented a former CFO of a publicly traded company in a class action alleging fraudulent accounting. Represented a former officer of an office supply company in several lawsuits alleging violations of securities laws. Investigated and prosecuted felony cases, including homicide and white collar crimes.